Here is the trailer from the upcoming film “Paul Blart: Mall Cop 2.” The film is directed by Andy Fickman, starring Kevin James, Molly Shannon, David Henrie, Raini Rodriguez, Eduardo Verastegui, Nicholas Turturro, Gary Valentine, Neal McDonough. Paul Blart: Mall Cop 2 opens nationwide April 17, 2015! Here is the new trailer from Summit Entertainment’s upcoming film “RED 2”, opening in theaters everywhere on July 19, 2013. RED 2 is directed by Dean Parisot and stars Bruce Willis, John Malkovich, Mary-Louise Parker, Anthony Hopkins, Helen Mirren, Catherine Zeta-Jones, Byung Hun Lee, Brian Cox, Neal McDonough. In theaters February 1, 2013. A funny new twist on a classic love story, WARM BODIES is a poignant tale about the power of human connection. After a zombie epidemic, R (a highly unusual zombie) encounters Julie (a human survivor), and rescues her from a zombie attack. Julie sees that R is different from the other zombies, and as the two form a special relationship in their struggle for survival, R becomes increasingly more human – setting off an exciting, romantic, and often comical chain of events that begins to transform the other zombies and maybe even the whole lifeless world. Inspired by true events SNITCH will be released on February 22, 2013. In the fast-paced action thriller SNITCH, Dwayne Johnson stars as a father whose teenage son is wrongly accused of a drug distribution crime and is looking at a mandatory minimum prison sentence of 10 years. Desperate and determined to rescue his son at all costs, he makes a deal with the U.S. attorney to work as an undercover informant and infiltrate a drug cartel on a dangerous mission — risking everything, including his family and his own life. In theaters June 7, 2013. NOW YOU SEE ME pits an elite FBI squad in a game of cat and mouse against “The Four Horsemen”, a super-team of the world’s greatest illusionists. “The Four Horsemen” pull off a series of daring heists against corrupt business leaders during their performances, showering the stolen profits on their audiences while staying one step ahead of the law. In theaters August 2, 2013. In theaters September 27, 2013. 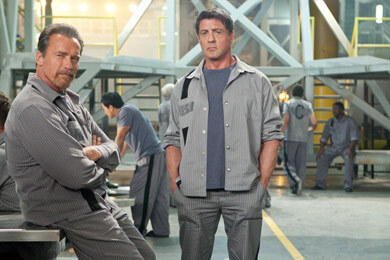 Action superstars Sylvester Stallone and Arnold Schwarzenegger team up in the action-thriller THE TOMB. Ray Breslin (Stallone), the world’s foremost authority on structural security, agrees to take on one last job: breaking out of an ultra-secret, high-tech facility called “The Tomb.” But when he is wrongly imprisoned, he must recruit fellow inmate Emil Rottmayer (Schwarzenegger) to help devise a daring, nearly impossible plan to escape from the most protected and fortified prison ever built. Based on the best-selling, award winning novel, ENDER’S GAME is an epic adventure which stars Asa Butterfield, Hailee Steinfeld, Ben Kingsley, Viola Davis, with Abigail Breslin and Harrison Ford. Here is the latest trailer from Paramount Pictures’ film CAPTAIN AMERICA: THE FIRST AVENGER. The film is directed by Joe Johnston starring Chris Evans, Tommy Lee Jones, Hugo Weaving, Hayley Atwell, Sebastian Stan, Dominic Cooper, Toby Jones, Neal McDonough, Derek Luke, and Stanley Tucci. CAPTAIN AMERICA: THE FIRST AVENGER hits theaters July 22, 2011! 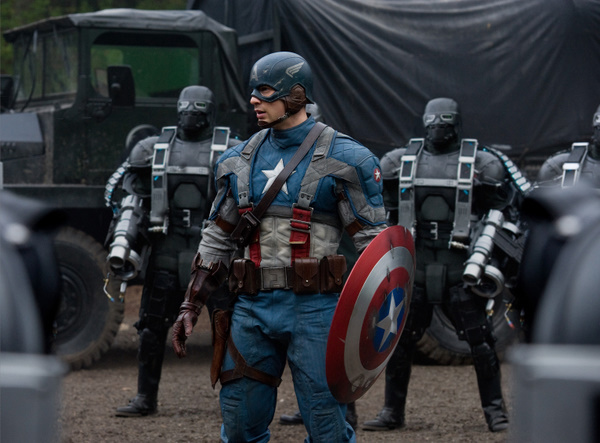 Here is the new trailer from Paramount Pictures’ film CAPTAIN AMERICA: THE FIRST AVENGER. The film is directed by Joe Johnston starring Chris Evans, Tommy Lee Jones, Hugo Weaving, Hayley Atwell, Sebastian Stan, Dominic Cooper, Toby Jones, Neal McDonough, Derek Luke, and Stanley Tucci. Here is the Super Bowl Spot from Paramount Pictures’ film CAPTAIN AMERICA: THE FIRST AVENGER. The film is directed by Joe Johnston starring Chris Evans, Tommy Lee Jones, Hugo Weaving, Hayley Atwell, Sebastian Stan, Dominic Cooper, Toby Jones, Neal McDonough, Derek Luke, and Stanley Tucci.